In the unfortunate event of incapacity or bereavement of a Pipe Ten customer, we are happy to assist in this difficult time. It is generally recommended that customers maintain different billing and contact information in their Pipe Ten control panel providing a second party easy access, but we appreciate this is not always possible or available in advance. In the first instance we recommend to try and get access to the person’s computer or main email address; this would often allow you to access or reset the Pipe Ten login information without going through a special process and contacting Pipe Ten, you can then change then request account cancellation or change the billing and contact information. 3. A signed in wet-ink confirmation that: “I am the personal who is legally permitted to handle the estate (and so Pipe Ten account) of <person or entity>”. 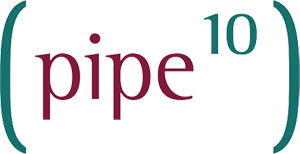 This information should be sent to Pipe Ten by registered post at the address listed on the about page and Pipe Ten will respond within 14 days.